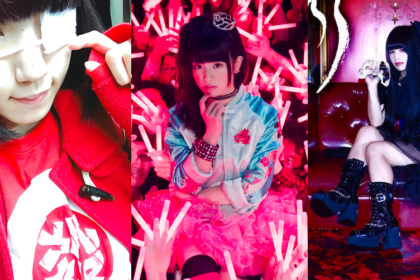 When they first emerged into Japan’s busy music scene back in 2006, rock outfit SCANDAL certainly caught everyone’s attention. 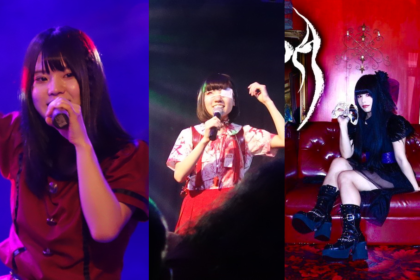 Haruna Ono (vocals, guitar), Mami Sasazaki (guitar), Tomoni Ogawa (bass, vocals) and Rina Suzuki (drummer, keyboards) had a chemistry that elevated the quartet above many of the other rock acts in service at the time. Their major label debut single ‘DOLL’, which arrived in 2008, presented an outfit that could demonstrate both an ear for melody coupled with a raw energy that made them a dynamic act to be reckoned with. They were also a band that enjoyed a good relationship with the world of anime with contributions to the likes of Bleach, Fullmetal Alchemist: Brotherhood and Loups=Garous (in which the band members also provided voice-acting roles). A cover version of ‘Don’t Say “Lazy”‘, from popular music anime K-On! was also part of SCANDAL’s early live performances. At the same time, the band have not been without their challenges. It can be a bit disappointing for instance to see SCANDAL, like many of their contemporaries, regularly referred to in the press as being a “female-fronted” band. As is often the case, this preface is usually then buoyed up with ill-advised commentary on the “authenticity” of the band, specifically the fact that they both write their own material and also play their own instruments. Best of luck sourcing an article that talks about a male-fronted band in those terms. 2016 marks the outfit’s 10th Anniversary and with the release of their 7th studio album YELLOW, London’s O2 venue in Islington was home to the UK stop on the band’s European tour. As venues go, the O2 is certainly an intimate one. It’s a far cry from the likes of the Budokan in their native Japan, but equally the confines of the venue offer up a packed audience that are an enthusiastic bunch – and subsequently a big contribution to the energy of the evening. ‘Stamp!’ has emerged as one of the stronger tunes culled from the YELLOW album. It’s a fine showcase for the distinctive vocals of SCANDAL as a whole, but also has an engaging arrangement that sounds fresh and dynamic. Keeping things dynamic, the stirring melodies of ‘Your Song’ sees Haruna encouraging a good old audience sing-along to the chorus. Equally, ‘LOVE ME DO’ has a particular power that’s buoyed up by the harmonic trills of the band singing in unison. The audience, meanwhile, are loving every moment. Enthusiasm can run away with the best of us however – and one particular character sporting what appears to be a full-size commercial video camera is politely asked by security to keep it down. 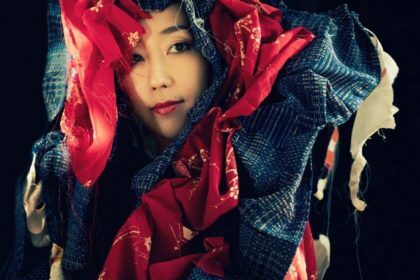 Meanwhile, the distinctive vocals of Tomomi heralds the arrival of the up-tempo ‘Konya wa Pizza Party’. It’s also a tune which sees a sudden sea of inflatable pizza pieces enter the audience to be batted about for the rest of the set. It’s clear that a large part of SCANDAL’s appeal over the years is their live performances. 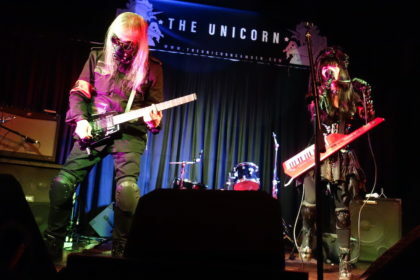 This is a band that makes no illusion about enjoying themselves on stage and have an easy rapport with their audiences. It’s certainly reassuring for the band to know that even in foreign climes such as this that there’s a dedicated fanbase who show their love with a fervent cycle of clapping, singing and passion. It’s a warmth that carries over into the eager clapping for the performance of ‘DOLL’. The raw vigour of SCANDAL’s first major single release has lost none of its power in the subsequent years since its release. ‘Take Me Out’, which features as the band’s latest (non-album) release has a pleasant freeform soft rock appeal. Elsewhere, Haruna asks the audience: “Are you ready to rock?” before launching into the tight melodies of ‘LOVE SURVIVE’. ‘Everybody Say Yeah!’ does the necessary with the audience giving an obliging “YEAH!” at the appropriate moments. The set closes with an emotional call from Haruna stating the band’s thanks for returning to the UK. This is followed by a performance of YELLOW’s ‘Chiisana Honoo’, which showcases a much more laid-back SCANDAL and delivers a fine closer to the show. Naturally, things aren’t going to end quite so neatly however and the inevitable encore sees SCANDAL delivering two of their best tunes. 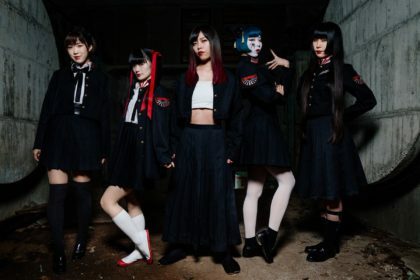 Bounding back on stage in matching tour T-Shirts, the band indulges in a little jam session before striking up the familiar stirring melodies of ‘Shoujo S’ – culled from long-running anime series Bleach. This is followed by the inevitable ‘SCANDAL BABY’, which again has lost none of its power and demonstrates again why SCANDAL made such an impact on the music scene of the early noughties. 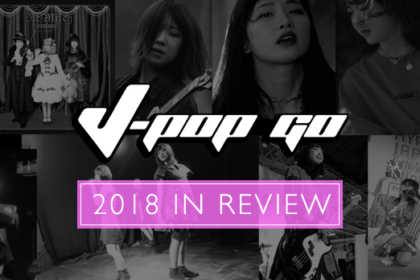 If there’s omissions from the setlist, then the likes of ‘Over Drive’ would have been in the J-Pop Go selection, but this is a minor quibble overall. In a live arena, SCANDAL demonstrate that they’re still a band that have considerable chops in delivering an energetic stage performance. This evening also shows that there are audiences keen for this to continue, which suggests that SCANDAL will be with us for many years to come.